Disclosure: I received the Mockmill for free so that I could use it and let you know my thoughts. As always my thoughts are not for sale for any price. I’ve wanted to make the move to fresh milled wheat for a very long time. My head spins when I think of how processed our flour is. The only thing I was lacking was a wheat mill. My prayers were answered when I received the Mockmill grain mill (for free). 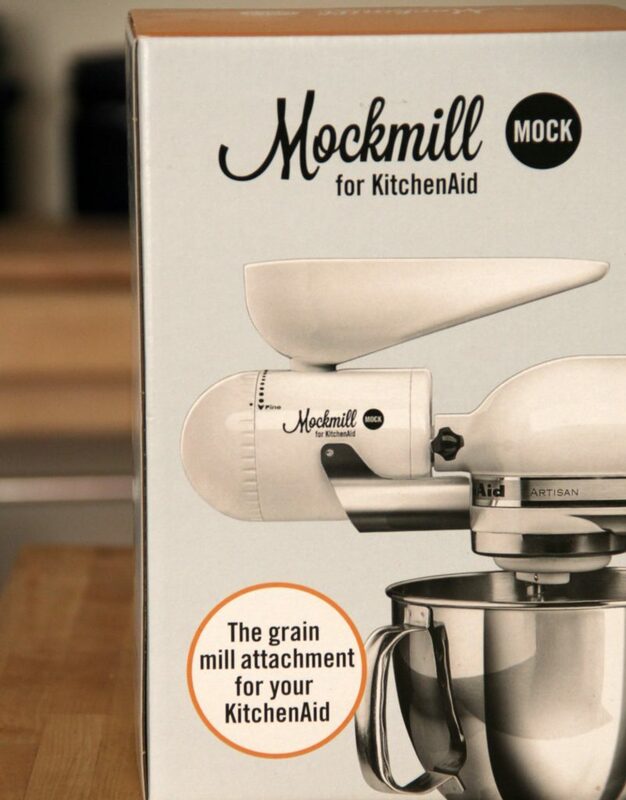 The Mockmill grinder is designed to work with a KitchenAid upright mixer.The grinder consists of three parts: the grinder, the screw to hold the grinder in place and the hopper. Installation is so very simple and took very little time. I put it together without reading the instructions. That’s how trouble-free it is. Don’t believe me? Give the video below a look. 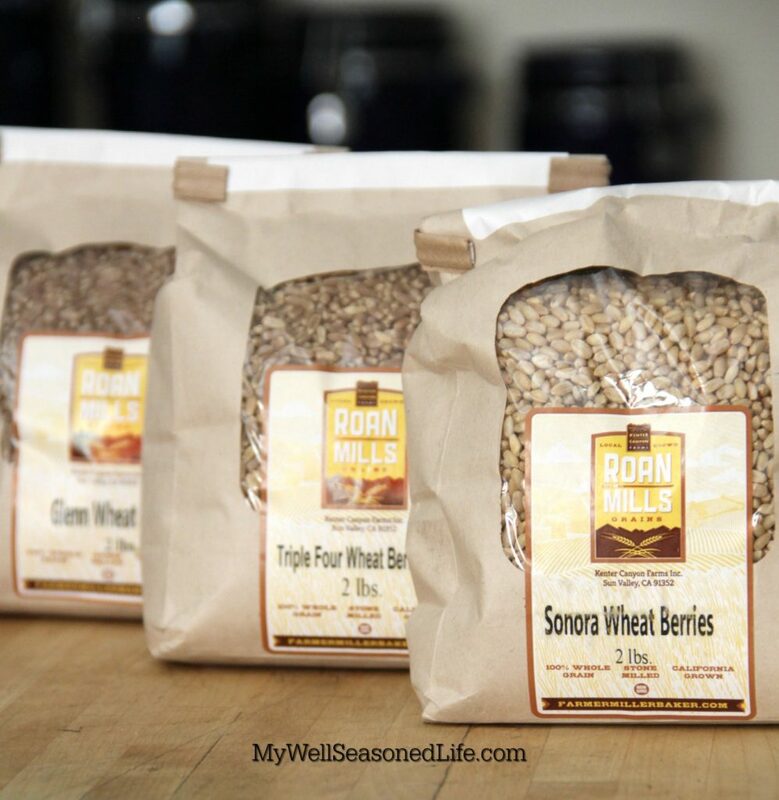 I used Sonora Wheat berries from Roan Mills for my first attempt because they are a lighter form of wheat. I found that the higher the speed of your KitchenAid mixer the finer the grain even if you turn the dial to fine. It was a joy to stand over the mill as the wheat berries transformed into a sweet smelling powder. Once I finished grinding my wheat it was time to clean the stones. For this I read the instructions. Make that incredibly easy to follow instructions. The stones inside have ridges that may collect flour. I used a pastry brush to sweep away any remaining residue. Putting the grinder back together is effortless. Plus there’s no way to use the mill if you don’t reassemble the mill properly. Now that the flour was ready to use I wanted to bake something immediately. Bread would take too long. 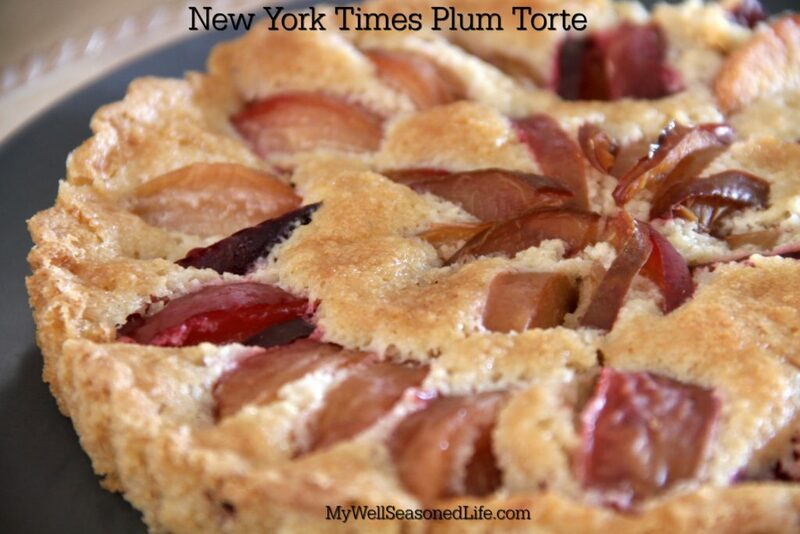 I opted for the New York Times’ Plum Torte for immediate consumption and gratification. I served the torte to friends that night. What a difference freshly ground flour makes. The crust had a grainy texture and richness that everyone loved. That night I made a starter for ciabatta. But that my friends is another post. I’d recommend the Mockmill grain mill. Janie you would love this mill. And the bread it makes. What a great device! At first I thought it was a meat grinder LOL. Cathy this mill is so easy to use. I’ve been baking for the last two weeks. The grassy aroma is intoxicating while the tart and loaves of bread are out of this world. You’d love it. This is such a useful tool for baking bread. I can’t wait to dive into milling my own grains. And your pictures!! Thank you for a great post. Milling your own flour is such a treat. Thanks so much for stopping by. I would love to try freshly ground flour. And I love the patterns of your plum arrangements. Fresh milled flour makes a huge difference. You’d love this mill Dana. You motivated me to buy the mockmill. 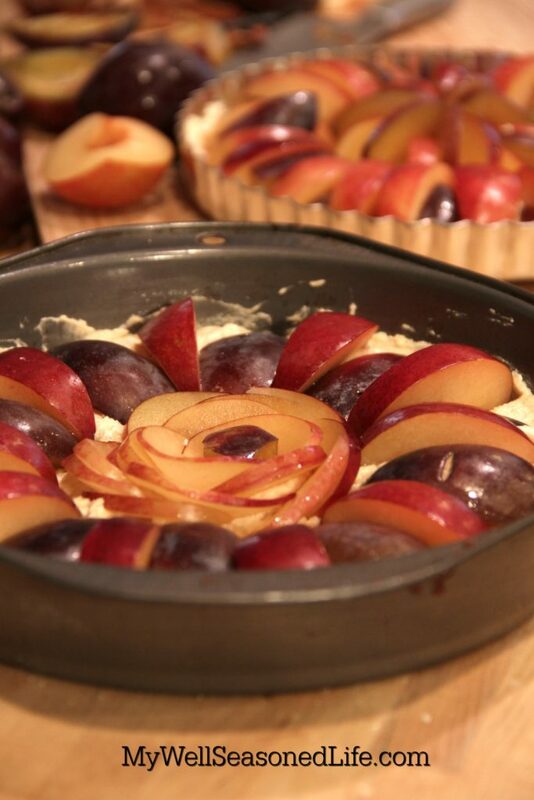 I just got it yesterday and cannot wait to make your plum torte. Where are you getting the wheat berries from? Only online? Or are there local store that carry these things? Rashmi I got them at the Atwater Village Farmer’s Market. I would image that Whole Foods would carry some as well. If you go to Sunday’s FBLA cookie exchange Karen Kerr will know where to send you as well.